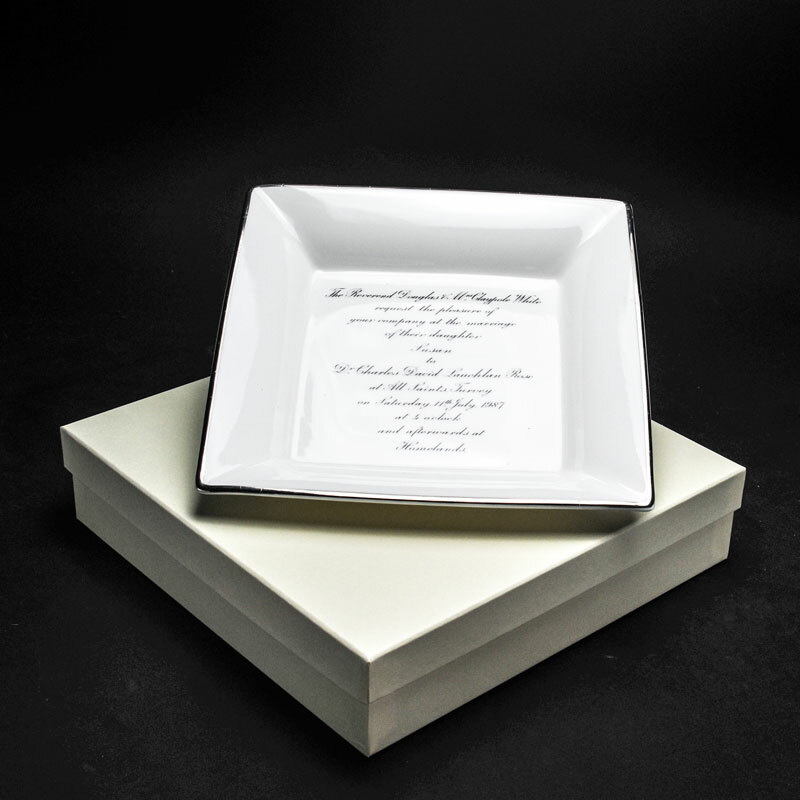 Use your wedding invitation art-work to decorate a useful china dish. 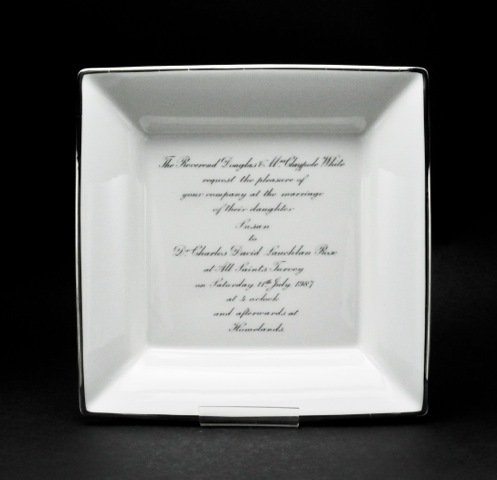 The Large Square Dish measures 23cm square and is 3 cms deep with a silver edged rim. It comes packaged in a lovely cream box. Please allow 3 weeks for production and delivery.